Do you require an expert Tree Surgeon in Ladbroke Grove? GraftinGardeners have professional tree surgeons in W10, London and surrounding areas. We’ve been performing tree surgery for 7 years now and have never had a bad review from any customer. GraftinGardeners are tree surgery experts operating in Ladbroke Grove and surrounding areas. We have unrivalled knowledge of trees and superior manpower to complete all your tree works with ease and usually within the same day. We have a solid rating on checkatrade and have many happy repeat customers. If you require tree surgery in W10, contact us today. Our team delivers a compelling tree surgery service and always aims to get the job completed on time. Tree felling is a dangerous task and should always be carried out by professional with the knowledge and expertise. Our tree surgeons can carry out all types of tree felling operations with ease, we usually take the tree down in sections but where space allows we can straight fell with not cutting involved until it’s on the ground. 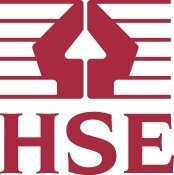 We always work to the UK safety guidelines to ensure a safe and clean tree removal. Tree pruning is required to keep trees healthy and strong but it can also be required for other reasons. 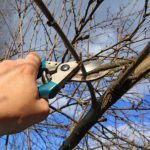 Our tree surgeons have been pruning trees for over 7 years and have the experience and skill to get your trees in tip top condition with a well-balanced overall shape. We can trim, prune, and shape just about any tree whilst following the guidelines set out in the BS 3998. Need a tree stump removed from your grounds? 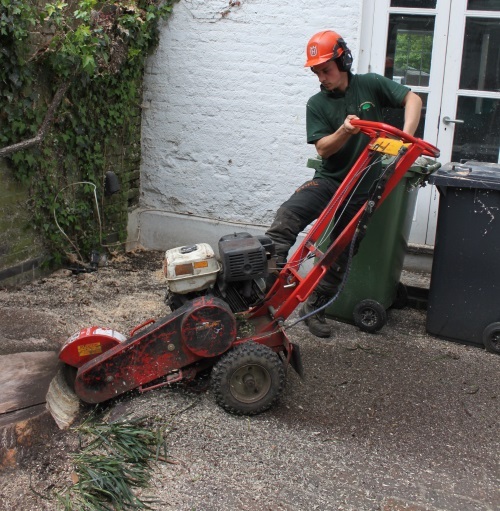 Our tree surgeons can remove any tree stump regardless of size and location. We use the latest stump grinding equipment to grind out even the most stubborn stumps. One the works are complete, we’ll simply fill the hole and tidy the surrounding area. If you’re having a tree crisis don’t panic. Our emergency tree service is open 24 hours a day, 365 days a week for emergencies. We’ll come in and secure the area, cut up the fallen tree, load our van up and clean the surrounding area once works are complete. Call is today for a free tree removal quote. Ivy can cause damage to your property if it’s left to grow out of control, don’t leave it to late, let us come in and remove it for you. We will remove ivy from the roots to make sure it doesn’t come back. We can also trim and shape it and will work alongside you until you get the results you want. Want help planting your new tree? No problem! 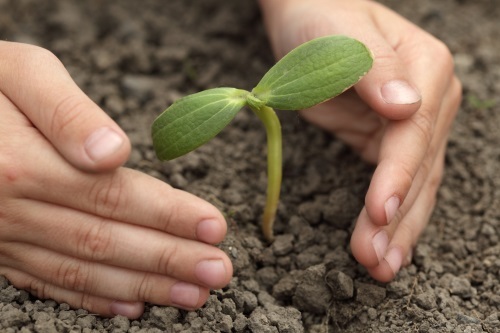 Graftingardeners have the knowledge and experience to plant any trees you want planted. We only source the best possible specimens and can guide you with best planting locations and give you advice on tree aftercare. Would you like a hedge maintenance service that’s affordable and reliable? Well you came to the right place! Our hedge trimmers have perfected the art of hedge trimming and can skilfully craft any hedge to whatever shape or style you desire. We can cut, trim and shape the smallest box hedge to the largest conifer. Tree pollarding is an extreme form of pruning that’s used to keep certain species like willow and poplar under control. If pollarding is carried out on the wrong species it can have disastrous affects and may even kill a living tree. To find out what sort of pruning your trees need call out experts today.